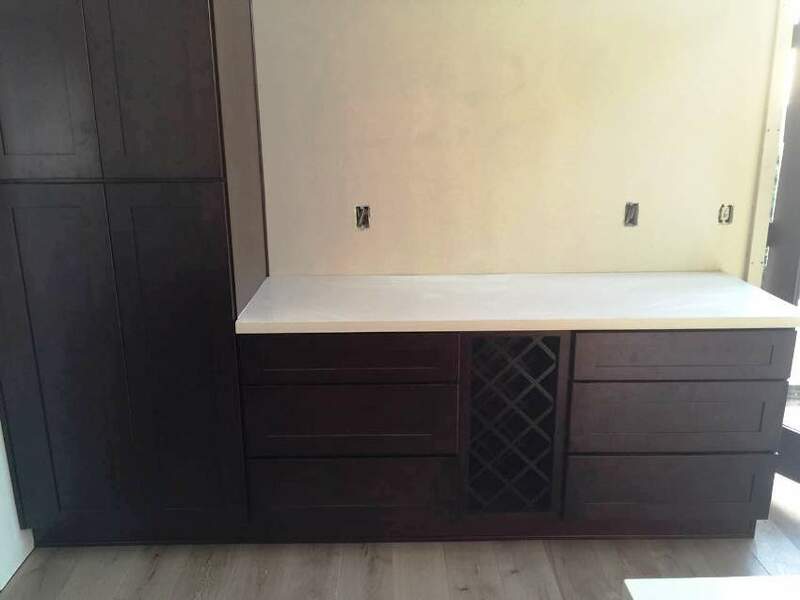 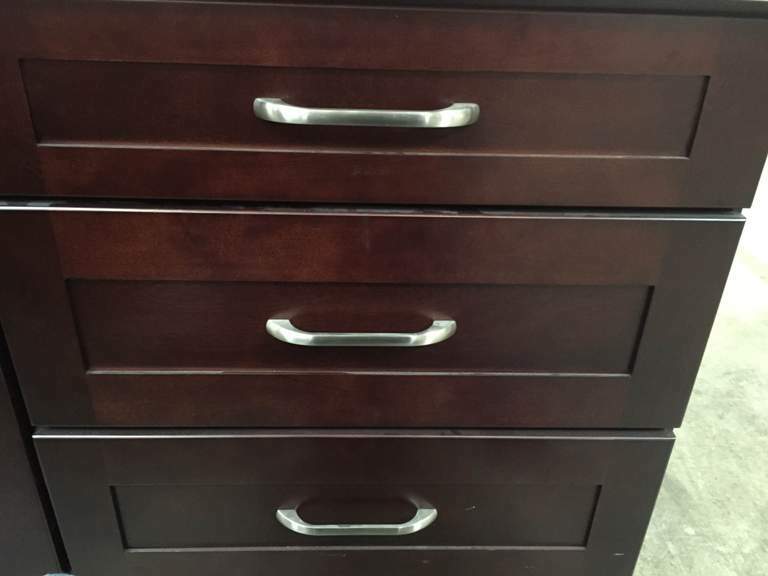 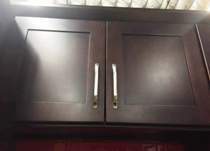 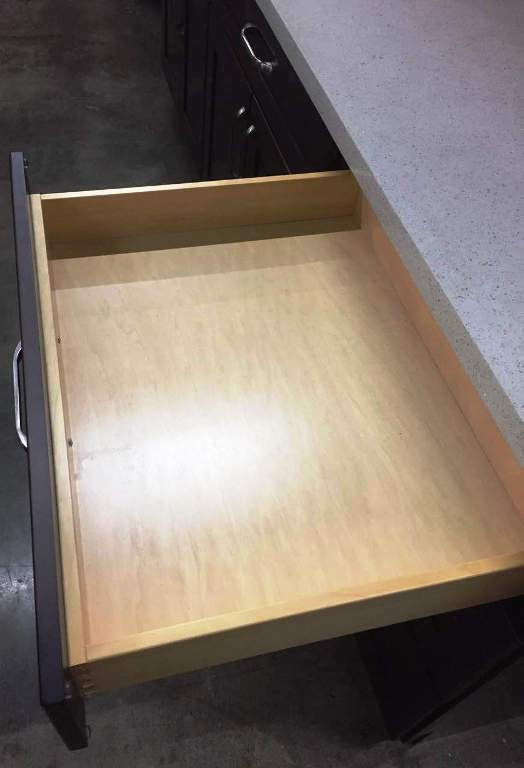 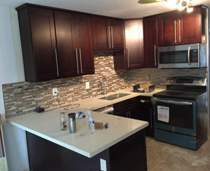 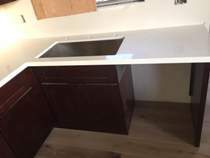 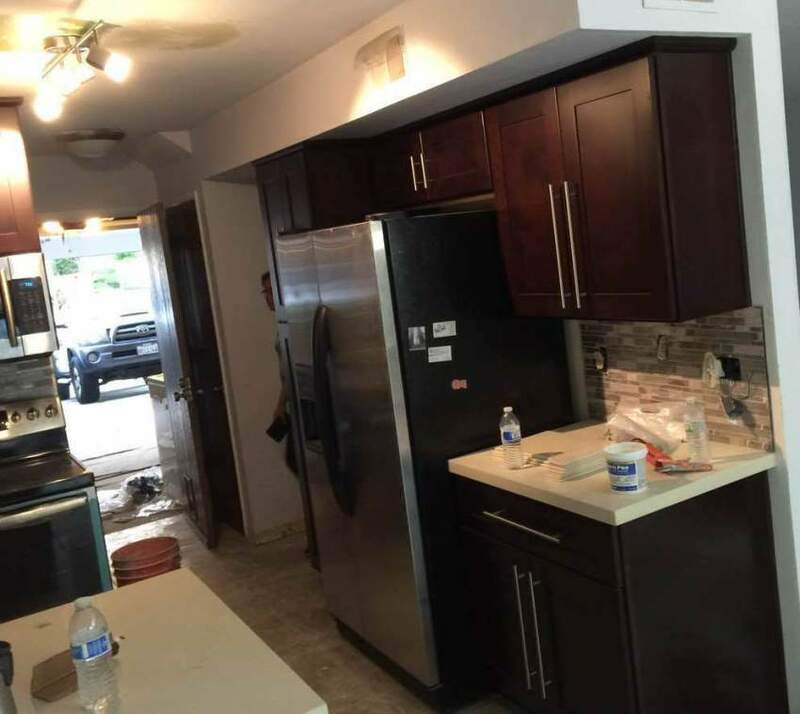 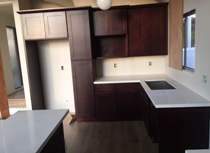 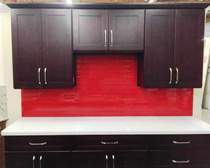 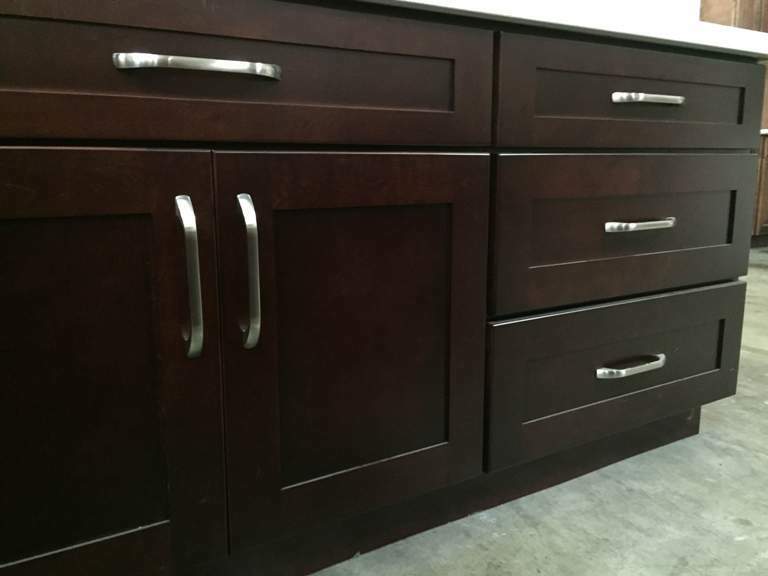 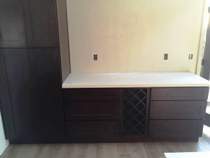 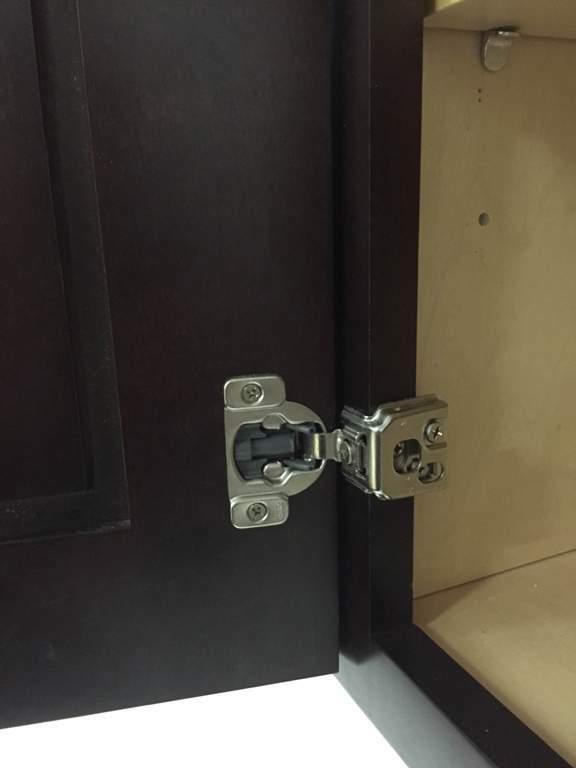 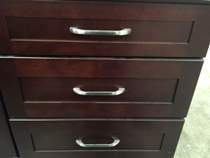 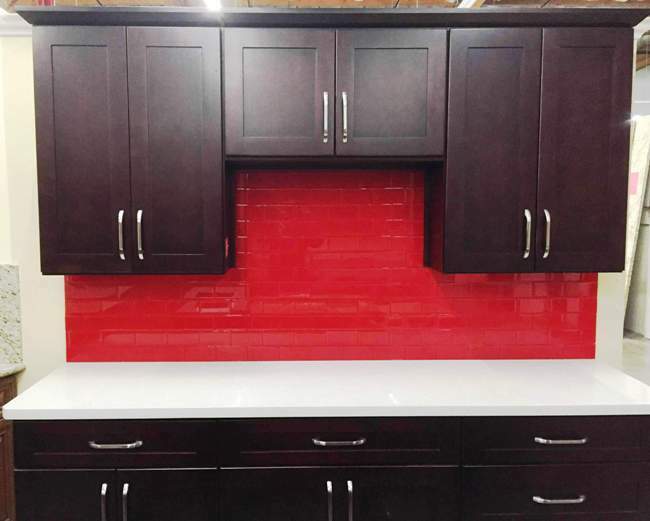 1I Dark Cherry colored Maple Shaker Cabinets, 5 piece drawer fronts, Dovetail drawers with full extension under mounted soft close ball bearing slides. 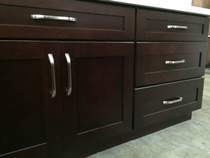 Six way adjustable soft close hinges, Door frame and face frame are made from American Maple hardwood. 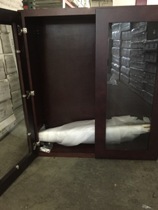 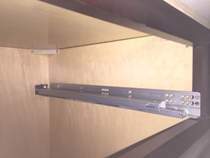 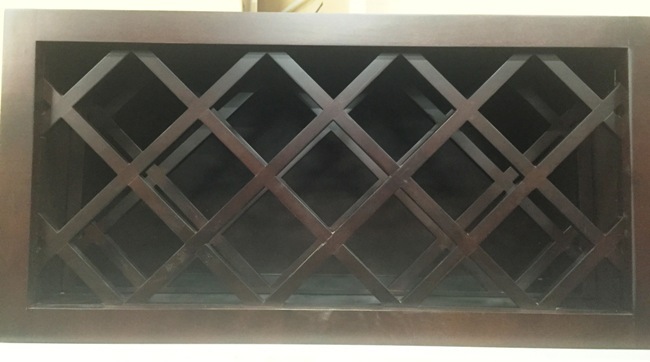 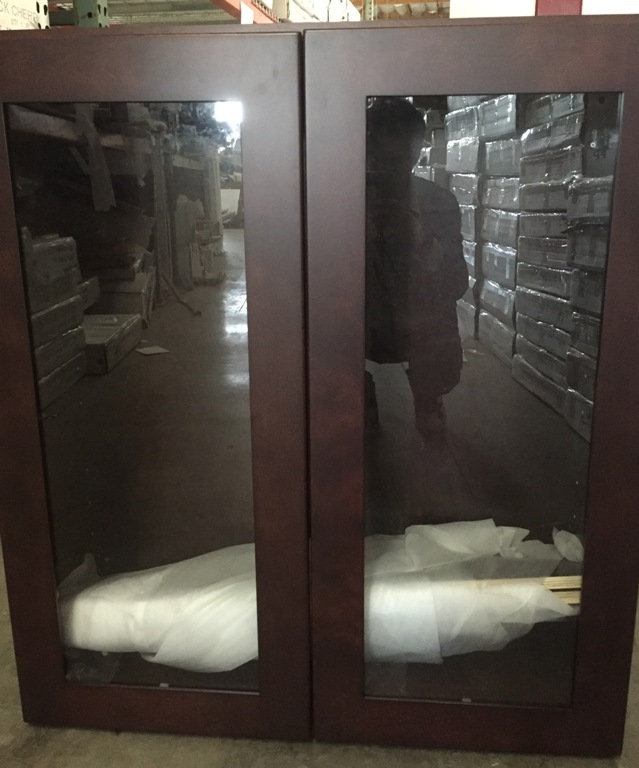 Plywood box frame, no particle board, 3/4" thick plywood shelves, ready to assemble, curbside delivery, lead-time 3-10 days depending on where you live.